Theyre both the same thing. Either looking at the male terminals molded into the coilpack itself, clip at top, left to right, or looking at the back of the plug with the wires coming out toward your eyes - clip at top. Generally speaking, no you won't. Different coils need different dwell times, simple as that. Thanks again Anthony for clearing that up for me. I misread your original post and my confution snowballed from there. 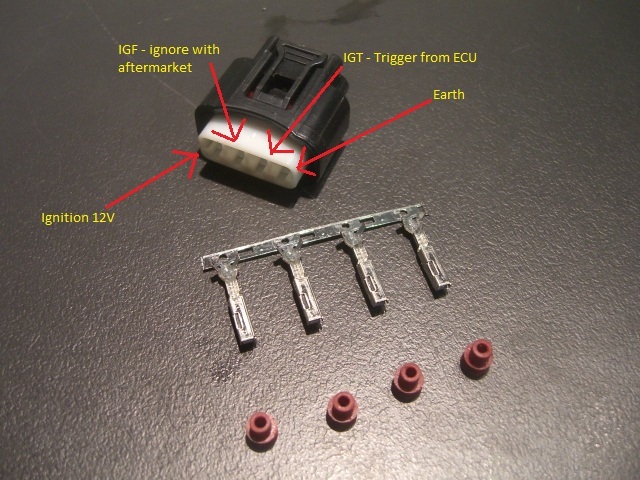 Can the 90919-02239 be used as a replacement for the 02236 in a 99 altezza 3sge? Tried and dosent seem to work. are there any settings that need to be changed? Altezza RS is the only odd ball 4 pin coil for some reason. PM replied. what coils do you use on 16v 4age Anthony?